Meet our Legal Manager, Sara Al Kabban. After graduating from the University of Auckland with a double major in Law and Psychology, Sara spent a year working in a business law firm whilst studying to get admitted to the New Zealand Bar Association. After admission, she left her home and came to venture out into the Middle East market. Two years of hard work in the corporate areas of law and heavy involvement in the field of arbitration, lead to her assignment into the role of Legal Manager to head the English department at Al Kabban & Associates. 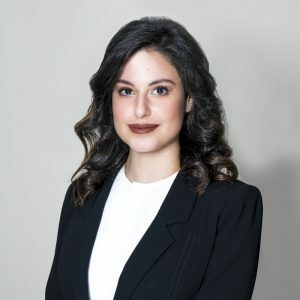 Sara also has a passion for writing that has been shown recognition in the leading legal magazine in the MENA region, The Oath Legal Magazine (“The Oath”). Her first published article in the July 2017 edition of The Oath highlighted the importance of “Terms and Conditions” for Small and Medium sized Enterprises (“SME’s”), which actually came about from her admiration and appreciation of SME’s, and the desire to help them flourish in a big market. Her second co-authored article published in the January 2018 edition of The Oath, focused on arbitration and the implications of public policy in a standard arbitration setting in the UAE, branched from her current involvement in numerous arbitration cases at the firm. Further to that, she has found a new interest in taxation in the UAE, and has been approached by the Khaleej Times to answer the readers’ queries on the newly implemented Value Added Tax, in a segment named “VAT’s Up Babu?”. Sara has proven herself to be a valuable member of the Al Kabban & Associates team since joining in 2016, and is fluent in Arabic and English.